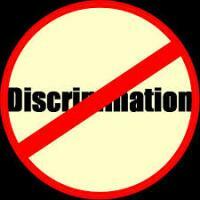 Lawsuit necessary to end discrimination in health care? Commentary on non-discrimination in health care (Section 2706) urges exploration of "big honking lawsuit"
Major successful popular movements in the US often have lawsuits attached. This column here at Huffington Post suggests that implementing non-discrimination may require a major social movement legal case like Silkwood, Roe v. Wade or Brown v. the Board of Education. The non-discrimination in healthcare law in the Affordable Care Act, Section 2706, promoted by US Senator Tom Harkin and his fellow integrative health supporters, will come into effect on January 1, 2014. Yet those close to 2706 will know that Harkin's intent is hardly a blip on the radar of most states, health systems, insurers and other agencies. Doors remain slammed shut. And those close to a similar law passed in Washington State know that what anchored citizen rights was a brutal series of lawsuits that then insurance commissioner Deborah Senn and the citizens of the State of Washington finally won in the Ninth Circuit Court of Appeals. Comment: I wrote the article. Many thought it about time. Others felt I was jumping the gun. It's elicited a good deal of response on the Huffington Post site. The American Chiropractic Association, American Association of Naturopathic Physicians and Integrative Healthcare Policy Consortium each sent the link to their Boards or members. Some suggested I take a lead in organizing. That won't be me. Clearly, however, a chord was struck. There are good reasons for the third branch of government. This may be one. Meantime, an interesting posting on 2706 by Integrator columnist Taylor Walsh is here: The Disruptive, Productive Paths of Patient Choice. On May 12, 2013, Congresswoman Chellie Pingree of Maine re-introduced the Access to Certified Professional Midwives Act, H.R. 1976. The MAMA Campaign, a consortium of supporters of this bill to back certified professional midwives (CPMs) as covered providers in Medicaid, announced the other seven co-sponsors: Michael Michaud (ME), Keith Ellison (MN), Lucille Roybal-Allard (CA), Raul Grijalva (AZ), Eleanor Holmes-Norton (DC), William Keating (MA), and Jim Moran (PA). Meantime, Holmes-Norton and US Senator Barbara Mikulski (D-MD) introduced the first Congressional legislation with "naturopathic" in the title, according to this column by Jud Richland, MPH, CEO of the American Association of Naturopathic Physicians (AANP). Mikulski's version, S.135, is a gambit to create visibility for the profession. It calls for the creation of Naturopathic Week for October 7-13, 2013. Those signing on will be agreeing to this assertion: "... Whereas naturopathic medicine reduces health care costs because of its focus on patient-centered care, the prevention of chronic illnesses, and early intervention in the treatment of chronic illnesses ..."
Comment: Here's hoping the Republican fears about how their agenda is limiting their ability to be re-elected will allow some to step across the aisle, finally, to express their support for access to Certified Professional Midwives. The midwives didn't have any Rs last session, forced by leadership to support nothing from Ds related to healthcare. The shocking reality in the AANP's move is that this profession managed to pass through the prior decade without introducing anything with their profession's name in it. S.135 is classic use of a symbolic act: a door-opener for corralling support for more substantive issues down the road. A substantial interview of John Falardeau, the chief lobbyist for the American Chiropractic Association, provides a look behind the scenes at policy developments for the most significant Beltway player associated with the integrative health and medicine fields. The interview, by seasoned journalist and Cleveland College of Chiropractic professor Daniel Redwood, DC, is in Redwoods informative Healthy Insights publication. One subject regards both the importance and limitations of evidence in making a political case. In other areas, Falardeau is hopeful that Section 2706, the non-discrimination in health care section of the affordable care act (referenced above), will force significant openness to inclusion of chiropractors. Falardeau also believes that a bill to allow doctors of chiropractic to be commissioned in the US Public Health Services has a good chance to pass in this Congress. One fascinating note touched upon in the interview is that the Congressional Budget Office will not take into account potential cost offsets when it evaluates the financial impact, say, of including chiropractors throughout the military. Says Falardeau: "So if the bill calls for having doctors of chiropractic in 120 more facilities in the VA, the only thing they do is take what the average doctor of chiropractic makes in the VA, and multiply it by 120. The current cost-estimation arm of the U.S. Congress is flawed. The back surgeries that are saved if more veterans go to doctors of chiropractic are not considered in CBO computations." Comment: That the CBO does not look at cost-offsets in the present context of massive health-related budget deficits is about as smart as entering a fight for one's life while being willfully blindfolded. It's not the first time. After all, when Congress established an institute devoted to comparative effectiveness research, the Patient Centered Outcomes Research institute, regular medicine banned the new agency from comparing costs. Both restrictions make one wonder if something very expensive is being protected. On June 1, 2013 the American Board of Integrative Medicine (ABOIM) announced that it is officially open for business. 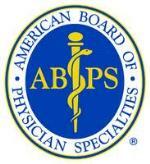 ABOIM is, as the release states, a member board of the American Board of Physician Specialties (ABPS) which is "the first multi-specialty certifying body to offer physician certification in integrative medicine." Applications will be accepted until December 31, 2013 for the first exam which will be held in May 2014. The release states that "ABOIM marks an important milestone in the development in the field of integrative medicine." Andrew Weil, MD, credited with popularizing the integrative medicine term, is quoted: "Finally there's a way for qualified physicians to present themselves as experts in offering competent integrative care to patients. I strongly support the American Board of Integrative Medicine." Certification is open to medical doctors and osteopaths in the United States and Canada. Comment: This is a historic moment. I am particularly pleased to see endorsement here of the Consortium's definition of integrative medicine. This is the only significant integrative medicine definition that positions itself in the the movement for interprofessional practice and team care. The job of the ABOIM-certified integrative medicine doctor is to integrate "approaches, healthcare professionals and disciplines." (Italics added.) The definitions favored by the Bravewell Collaborative, the Institute of Medicine, and Weil's own Arizona Center are not overtly interprofessional. This definition positions the field, smartly, where the puck is going in health care. Congratulations to the Arizona Center for Integrative Medicine, to leaders of the American Board of Holistic Integrative Medicine, CAHCIM, and others involved who have pulled that field together quite brilliantly since the decision to create the ABOIM was announced in September 2011. My guess is that there are members of the Bravewell Collaborative of philanthrists who will find this a terrific milestone to have behind them before that organization wraps things up with its November 2013 gala. "Why do we need to start integrative medicine?" The current director of the VA’s Office of Patient-Centered Care and Cultural Transformation, Tracy Gaudet, MD was reflecting, before a May 2013 audience organized by the American Association of Naturopathic Physicians, on her first encounter with the naturopathic profession. The year was 1996. Gaudet had just been hired by Andrew Weil, MD to direct what was then the Program in Integrative Medicine at the University of Arizona. That program would birth the Fellowship in Integrative Medicine and now the American Board of Integrative Medicine (see above.) Gaudet, who guided Duke Integrative Medicine for a decade between her Arizona and VA work, continued: "Naturopathic physicians are a huge part of the solution. You always have been. I asked Andy: 'Why are we doing something that's already out there?'" Then to the appreciative audience of naturopathic doctors: "Don't you ask yourself that question? Like, 'hello' ...!" Gaudet then explained that her study of health system change had taught her why integrative medical doctors are especially important: "In health system change, you need constructs and concepts that are a bridge." Comment: Good for Gaudet, letting this history out of the bag. The dense overlap of the ND and MD-IM fields, together with the more stringent integrative medicine education requirements in accredited naturopathic education, has provoked some integrative medicine spokespeople to simply leave naturopathic medicine out of their books, reviews and presentations, or reduce them to "modalities". Such lack of recognition for the depth of training provoked resentment in many NDs for perceived intellectual and historic dishonesty among their MD colleagues. I have felt such resentment, personally, as I was intimately involved with the re-birth of the naturopathic profession between 1983-1993. Good for Gaudet, also, for teaching the audience of naturopathic doctors with such clarity about the need for the integrative MDs as bridging, change agents. True story. This is a healing moment. I like that it comes at the opening of applications for the ABOIM, the new MD/DO IM specialty. This monthly report includes 20 segments from Google Alerts on integrative medicine developments in health systems plus a half-dozen from the community for May 7, 2013-May 31, 2013. These came via requests for "integrative medicine," "integrative oncology" and "complementary and alternative medicine." Major integrative centers were officially opened in Cincinnati, Ohio and the Casey Health Institute (CHI) in Gaithersberg, Maryland. A blog post by CHI's director of integrative medicine, Andrew Wong, MD, is here and one from his colleague, naturopathic physician Carrie Runde, ND, is here. The chair of the Consortium of Academic Health Centers for Integrative Medicine (CAHCIM), Ben Kligler, MD, MPH, posted a series of recent CAHCIM accomplishments to the organization's members. At the top is a set of consensus competency guidelines for fellowships in integrative medicine. Also noted is the exceptional pain initiative, separately reported below, with the hospital and health system accrediting body, the Joint Commission on Accreditation of Healthcare Organizations (JCAHO). Two educational congresses, a program in integrative medicine for medical students, and a publication on the nature of integrative practices in academic centers round out the list. Comment: Kligler is an activist chair. This is good work from the hands of many members. I particularly like seeing CAHCIM leverage its power to open JCAHO's pain guidelines to review. Meantime, the consensus competencies on fellowships are a chess piece in setting the infrastructure for the standards in the American Board of Integrative Medicine. In a brief notice in its May 30, 2012 newsletter, the Consortium of Academic Health Centers for Integrative Medicine announced that Texas Tech University's application to the Consortium has been approved for Consortium membership. The Texas Tech website notes Kimberli Perk, MD and Katherine B. Chauncey, PhD,RD, as the director of the Center for Integrative and Nutritional Medicine. The Consortium now has 56 member institutions, including 53 academic health centers and 3 affiliate health systems. A dialogue one hears sometimes among practitioners in the broad complementary and integrative health and medicine movement pertains to whether the "integrative medicine" term belongs to medical doctors (MDs). Notably, two of the roughly 50 accredited institutions of acupuncture and Oriental medicine (AOM) have the term in their names. The first to associate the 2000-3000 year old AOM profession with the roughly 18-year-old movement for integrative medicine was the Acupuncture and Integrative Medicine College, Berkley. More recently, when the Acupuncture and Oriental Medicine of Austin (AOMA) gained regional accreditation status under the direction of Will Morris, LAc, DAOM, that school changed its name to AOMA Graduate School of Integrative Medicine. Meantime, earlier this spring, the former Tai Sophia Institute took a somewhat different tack with its achievement of university status from its regional accrediting agency. Under the leadership of Frank Vitale and Judith Broida, PhD, Tai Sophia became the Maryland University of Integrative Health. When one considers the comments reported above from Tracy Gaudet, MD regarding the pioneering of integrative medicine by naturopathic physicians, the suggestion is that the the integrative ground is felt by some, at least, to be shared by various traditions in "medicine," regardless of the MD/DO exclusivity of the American Board of Integrative Medicine. The Consortium of Academic Health Centers for Integrative Medicine (CAHCIM) has stimulated a new initiative of the Joint Commission on Accreditation of Healthcare Organizations (JCAHO) to "further develop the Joint Commission's standards" in the area of non-pharmacological pain standards. The JCAHO decision was made, according to this letter from CAHCIM chair Ben Kligler, MD, MPH, "in response to a petition from medical school faculty at 20 member institutions of the Consortium on the need for more integration of non-pharmacological treatments for pain into JCAHO's standards." Daniel Castillo, MD, medical director in the Division of Healthcare Quality Evaluation, has reportedly agreed to establish an expert panel to further develop the Joint Commission's standards in this area. Comment: Congratulations CAHCIM for initiating this exceptional piece of strategic, transformational work. This is prime evidence of the critical, go-between role in system change of the integrative medicine doctors, as described above by Tracy Gaudet, MD. Now, here's hoping that CAHCIM and JCAHO will honor the spirit of interprofessional practice and team care in the field's definition of integrative medicine by including at least one member of the licensed complementary and alternative medicine (CAM) disciplines on their team. The numbers of individuals who see chiropractors, acupuncturists, massage therapists and naturopathic doctors for pain conditions is in the tens of millions. An interprofessional consensus conference has led to the publication in Pain Medicine of Core Competencies for Pain Management: Results of an Interprofessional Consensus Summit. The process: "Through an interprofessional consensus process, core competencies in pain assessment and management were developed to address pre-licensure pain management education in all major health care professions." Ten disciplines were included. The one integrative health field invited in was acupuncture, via two professionals: Ian Koebner, LAc, MAOM, with the UC David Health System, a member of the interprofessional author team; and a consensus conference participant, Steve Given, LAc, DAOM, with San Francisco's American College of Traditional Chinese medicine. The group published 25 total competencies in 5 domains. Some of the most relevant to integrative health are: "demonstrate the inclusion of patient and others, as appropriate, in the education and shared decision-making process for pain care; identify pain treatment options that can be accessed in a comprehensive pain management plan; describe the role, scope of practice, and contribution of the different professions within a pain management care team; and, implement an individualized pain management plan that integrates the perspectives of patients, their social support systems, and health care providers in the context of available resources. Comment: Always interesting to see who is in and who is out of these "consensus" projects. If a profession is out, are their contributions therefore not among the "different professions" from which contributions to optimal pain treatment should be considered? No one from the integrative health community was on the 7-person executive committee. No chiropractors, massage therapists, naturopathic doctors or yoga therapists were involved. Nor were any well-known integrative medical doctors included at any stage of the operation. (Correct me if I am wrong.) Nor were any integrative health terms beyond "acupuncture/education" searched in the background research. "Integrative medicine" was not. Notably, while the executive team espoused a plan to include relevant pain organizations, the multidisciplinary American Academy of Pain Management, which espouses an integrative model, was not. The most egregious oversight, besides the willful exclusion of AAPM, was to not include chiropractors, certainly a major pain-related profession. That field has 250% the number of practitioners as acupuncture. That stated, it is good to see this level of interprofessional activity occurring. The work brought to mind the 2009-2011 collaborative work of medicine's Big 6 disciplines (pharmacy, medicine, nursing, public health, dentistry, osteopathy) to publish the Core Competencies for Interprofessional Collaborative Practice. The movement is from dictatorship (by MDs) to oligarchy (exclusive subsets of disciplines). Each is a step in the right direction, out of silos and into team. Still, it would be nice if they could actually operationalize what "patient-centered" means. On June 4, 2013, the Samueli Institute, led by Wayne Jonas, MD, announced that they have opened a publicly-accessible "searchable database on the science of healing." The site includes the Institute's studies on pain and stress management, and complementary and integrative approaches. The announcement stated that "visitors can access a decade of research that explores wellness and whole-person healing through evidence-based publications." Access is here. Meantime, the Institute's 2012 Annual Report notes that the organization added 15 employees that year, while "disseminating the results of our work and research through 84 journal articles, two books, eight book chapters, 148 presentations, and 18 scientific conferences and meetings." Total revenues for 2012 were $13,145,000. Comment: Fascinating body of work here. A colleague examined the publications and noted that only two, however, seem to hold a focus on the critically important economic dimensions of integrative health and medicine practices and disciplines. Jonas has been interested in the topics since he mounted a daylong workshop on related to coverage issues in 1996 when he ran the old Office of Alternative Medicine at the NIH and right up to publishing Patricia Herman, ND, PhD's seminal volume. I was surprised at the low number. Be good to see more attention to cost outcomes in the Samueli work. Joel Grey's character in Cabaret was right: Money makes the (healthcare) world go round. As part of the fiscal year 2011 data collected in 2012 by the American Hospital Association (AHA) Annual Survey, the AHA asked if the hospital offers complementary and alternative medical services. The finding: 902 of 4782 responding US hospitals (19%) indicated they offered CAM services. The percent is significantly below the 42% reported in a 2010 survey of hospitals sponsored by the AHA and the Samueli Institute. That survey focused only on CAM offerings. Comment: I contacted the AHA's communications staff and asked how they would explain the difference. Was it the sample? The staffer responded: "The AHA Annual Survey has a much higher response rate from hospitals than the CAM supplemental survey. For the CAM supplemental survey, the response rate was likely skewed to hospitals that already reported offering CAM services." She noted that the "expanded survey on CAM services" has been done about every 3 years but that at this point, there are no plans for another CAM survey due to cost. Meantime, the 19% is sobering for anyone who has trotted out the prior data. American Association of Acupuncture and Oriental Medicine (AAAOM) calls for comments on its position statement on "dry needling"
The American Association of Acupuncture and Oriental Medicine (AAAOM) convened a Blue Ribbon Panel on Interprofessional Standards that has taken a strong stand against other professions renaming acupuncture to put therapeutic use of needling in their practices. In a draft document sent to members for review, the panel asserts that "dry needling and any of its alternate designations, including intramuscular manual therapy, trigger point needling, functional dry needling, intramuscular stimulation or any other method by which a needle is inserted to effect therapeutic change, is, by definition, the practice of acupuncture." The four page document reviews historic precedents, educational standards and concerns. It closes with this recommendation: "The AAAOM strongly urges legislators, regulators, advisory boards, advocates of public safety, and medical professional associations to carefully consider the impact of trends in scope of practice expansion issues." The document does not share who served on the Blue Ribbon Panel. AAAOM is led by Michael Jabbour, CSP, MS, LAc. Comment: Many leaders of the AOM profession are deeply concerned about the future of their own field, especially as the rapidly-growing allied health profession of physical therapy is moving both toward doctoral status and into adding dry needling. The American Association of Naturopathic Physicians announced June 5, 2013 that Colorado Governor John Hickenlooper "signed into law a measure to allow naturopathic doctors to register with the state to legally practice naturopathic medicine." Colorado became the 17th state with regulation, along with the District of Columbia. State Senator Linda Newell (D-Littleton), the bill's leading backer, is quoted as saying that "naturopathic doctors are going to be a key component in health care, saving the state millions of dollars through their focus on disease prevention and natural treatment, such as nutrition, lifestyle counseling and botanical medicine." The action followed 20 years of legislative campaigns in Colorado be a succession of leaders. Denise Clark, ND, was the most recent leader of the effort. She followed Jacob Schor, ND and Rena Bloom, ND, and Louse Edwards, ND, LAc, and others. Comment: The sick joke about the barrier to licensing for naturopathic doctors is they have clowns to the left of them, jokers to the right. Meaning: opposition from self-described "naturopaths" on the one hand who cannot meet regulatory standards, and from guild-protecting medical doctors on the other. Nowhere have the clowns been more effective than in Colorado. Perhaps this will be a breakthrough year for the naturopathic profession. Under-handed, guild-based opposition from the the AMA's Scope of Practice Partnership have kept the field from adding regulated terrain in recent years. But in recent months, the field was a governor's signature away from a bill in Massachusetts last December and saw bills pass out of committees in Pennsylvania and New York the week Hickenlooper signed. For the NDs, those 3 states would bring them to 20 states and give them their first, major, East Coast presence. This would be transformational. Then, of course, the profession will have to deal with having settled for registration rather than licensing, in Colorado as in Minnesota, the most recent new state. On April 19-21, 2013, a historic meeting took place of US MERA (Midwifery Education, Regulation and Association) in Arlie, Virginia. According to this release, the member organizations included three associated with nurse-midwifery [American College of Nurse-Midwives (ACNM), Accreditation Council for Midwifery Education (ACME), American Midwifery Certification Board (AMCB)]. Also involved were four associated with direct-entry midwifery [Midwives Alliance of North America (MANA), Midwifery Education Accreditation Council (MEAC), North American Registry of Midwives (NARM), and National Association of Certified Professional Midwives (NACPM)]. Those present recommended the establishment of the US MERA Work Group as an ongoing entity with the purpose to "create a shared vision for U.S. midwifery within a global context, generate an action plan for collaboration to strengthen and promote the profession of midwifery in the United States, thereby engendering a positive impact on U.S. maternity care that will improve the health of women and infants." Comment: Excellent to see this move toward ongoing collaboration between two branches of a field that has been the subject of a great deal of misleading, self-protective assaults from obstetricians. I had a chance last year to participate in an Arlie meeting of the non-nurse midwives. A nurse midwife leader was present, and celebrated for promoting dialogue. My learning birthed the following piece which produced a good deal of controversy and 3500+ likes on Huffington Post: Homebirth Midwives and the Hospital Goliath: Evidence Builds for Disruptive Innovation. No question: midwifery care and home birth fit with the Triple Aim. In a June 6, 2013 notice to members, the American Chiropractic Association announced that their "credibility is growing among payers." The evidence: Blue Cross Blue Shield of Vermont (BCBSVT) "reached out to ACA's Vermont Local Liaison, Eric Hemmett, DC, requesting information about chiropractic services that it could share with its membership." The Local Liaison program is an ACA initiative. The organization supported Hemmet and BCBSVT by "design(ing) a new patient handout providing an overview of the profession. The ACA release spoke of the BCBCVT request as a sign of "growing cultural authority among payers." Comment: This is a good sign for chiropractors. I am sure they would like to see a large state like New York doing the same. The handout, notably, informed patients that treatment takes "a certain number of visits," which is less specific than some payers might like. The association's flier adds, however, that it is the provider's responsibility to share an estimate of visits up front. In the journal's March 2013 issue, Global Advances in Health and Medicine features a primer from RAND researcher Patrica Herman, ND, PhD on evaluating the economics of complementary and integrative medicine. The quick, publicly available read is adapted from Herman's book on the subject that was published via the Samueli Institute. Two other naturopathic doctors, Sterah Tais, ND and Erica Oberg, ND, MPH have published a separate primer entitled The Economic Evaluation of Complementary and Alternative Medicine, via the Natural Medicine Journal, official journal of the American Association of Naturopathic Physicians. The Tais-Oberg piece looks at economics in a list of specific conditions, including cardiovascular disease, diabetes prevention, cancer prevention, fibromyalgia and more. The Boston-based Jill's List has been acquired by San Luis Obisbo, California Mindbody. Jill Shah, who built her firm with its sterling advisory board of integrative medicine and health leaders (plus Jesse Dylan, Bob's son), will continue as senior VP and head of a Boston Office. The Jill's List business model has included a fee for supporting provider referrals. More recently, charges to employers for access to its practitioner list have been a focus. Says Mindbody founder and CEO Rick Stollmeyer: "Our thesis is all about the convergence of healthcare and wellness." Jill's List is the company's second acquisition. This release on the Mindbody site states that the firm is the "largest provider of online business management software in the health and wellness industry." Following the acquisition, the business is expected to be rebranded as the Mindbody Wellness Network. The fast-growing Mindbody presently boasts that its business software supports services of "300,000 health and wellness professionals at 24,000 locations in 81 countries." Prior to the acquisition, the business were mainly spas, fitness companies and health and beauty businesses. Comment: Shah has walked a challenging path with Jill's list. Her work has been fueled on one side by a realization that referrals and deepening integration are individualized and relationship-based while, on the other, successful business models require large numbers. Curious what will happen next with this jump into huge levels of connectivity. Shah's combination of mission and business savvy will alone be valuable to Stollmeyer and his team. Healthyroads, a subsidiary of the dominant complementary and alternative medicine managed care company, American Specialty Health, announced on June 3, 2013 that its Population Health Program has received full disease management accreditation from URAC, a health care accrediting organization. The release notes that this program, launched in 2011, combines with its existing URAC-accredited comprehensive wellness (lifestyle) program to provide services such as smoking cessation, exercise and nutrition, and chronic condition management programs for health plans, employer groups and members. Methods include a custom web portal, trackers, educational information, e-coaching classes and telephonic coaching to reduce health risks. Douglas Metz, DC, chief health services officer of Healthyroads is quoted as reassuring clients that accreditation assures clients that ASH has "infrastructure, processes and commitment necessary to promote high-quality health care." The firm offers services to over 5.7-million members annually. Comment: The inclusion of news from ASH will mainly be of interest to those who followed the CAM network wars of the late 1990s when ASH, led by George DeVries, rose from its California managed chiropractic base to national dominance. Via a step-wise processes, including the latest accreditation, the firm has grown to a $183-million in 2011 and over $200-million today. Credit the paradoxical outcomes of the firm - awarded for its employee programs while despised by many practitioners for its CAM management business practices - for seeing early the opportunities to move into prevention, health promotion, employee wellness and, increasingly, disease management. An overview of DeVries' career is provided in this release on a recent Lifetime Achievement Award he received. Kathryn E. Johnson, who retired recently after 25 years as the chief executive officer for Health Forum, an arm of the American Hospital Association, has joined the board of the Samueli Institute. In her position with Health Forum, Johnson "provided health care leaders access to new information and fresh ideas to strengthen their organizations' performance, and to improve the health of the communities they serve," according to a Samueli Institute statement. More recently Johnson serves as is a consultant to health care organizations in the U.S. and abroad. Comment: The Health Forum/Samueli Institute connection goes back at least to 2007 when they co-sponsored a meeting on complementary and integrative health in hospitals. Former Health Forum staffer, and Integrator adviser, Sita Ananth, MHA, was hired from Health Forum to build the Samueli Institute's knowledge center. The June 2013 issue of their newsletter marked a transition of in leadership for the International Network of Integrative Mental Health (INIMH). Ron Glick, MD took over from former chair James Lake, MD. Glick celebrated Lake for having "envisioned this organization and served tirelessly for years to bring it to this place." He particularly credited Lake as the "driving force in authoring our recently published integrative mental healthcare White Paper: Establishing a new paradigm through research, education, and clinical guidelines. The University of Pittsburgh is the base for the new chair, Glick, an integrative psychiatrist with a pain and rehabilitation specialty. The American Chiropractic Association's (ACA) announced that the organization's vice president, Anthony Hamm, DC, FACO, has been re-elected co-chair of the American Medical Association's (AMA) RVS Update Committee (RUC) Health Care Professionals Advisory Committee Review Board (HCPAC). As noted in the release, the RUC HCPAC develops recommendations on relative values for new and revised CPT codes reported principally by non-MD/DO professionals. Hamm is the first chiropractic physician to serve as HCPAC co-chair. In this role, he also serves on the AMA/Specialty Society Relative Value Scale Update Committee (RUC).